BELIZE CITY, Mon. Apr. 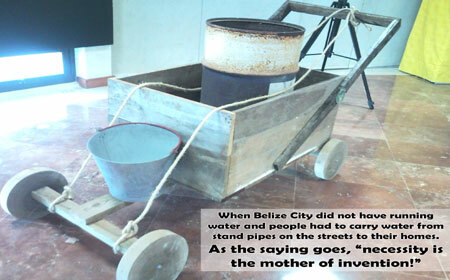 13, 2015–In a city abuzz with all sorts of automobiles, including the latest models of SUVs, young Belize City residents may not be able to imagine an era when the popular modes of transportation were manually-built carts and carriers, propelled by a human engine. The most popular vestige of this era in our history is the bicycle carts, since, on a smaller scale, some city vendors still make use of these fuel-free modes of transportation. Some of these carts traditionally sold fresco (crushed ice with syrup) in the streets, and many of them still do! 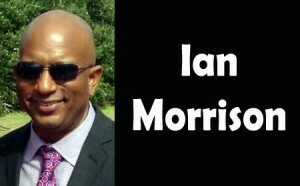 Ian Morrison, an engineer by profession, said that as a child, he loved building things with his hands. His curiosity led him on a search for information to put together a book on these types of vehicles that were used in the past, but when he met with Noel Escalante, the photographer prodded him to take it to the next level and to launch an exhibit instead. Morrison took up the challenge and two and a half years later, he unveiled the Carts & Carrier Cycles Exhibit at the Belisle Art Gallery, at the Bliss Center for the Performing Arts in Belize City. At the opening of that exhibit this evening, Morrison recalled decades past when Belize City was only 4 square miles (less than half the size it is today) and when homes did not normally have running water. Instead, households had to fetch water from stand pipes in the street – and the four-wheeled carrier carts were employed to get the job done. The display launched today includes true-to-life items, including carts still in use today and borrowed just for the month-long exhibit. There are the one-wheeled carts or wheelbarrows, which come in a variety of styles of wooden or metal construction, two-wheeled push carts, three-wheeled carts, four-wheeled carts and five-wheeled carts. The carts and carriers also had license plates – the ones on display dating back to the 1970s. However, the photographic part of the exhibit included snapshots courtesy of the Belize Archives and Records Service showing carts from the early 20th century. One piece we saw was dated 1910. Ilona Smiling, curator of the Museum of Belize, put together the exhibit. She said that working on the project has helped her to gain an appreciation for the things she used to take for granted. Diane Haylock, president of the National Institute of Culture and History, said that the exhibit is important in providing Belize’s youth with a snapshot of our transportation past. Haylock noted that an exhibit on transportation, featuring an era when movement across Belize was primarily by boats, is running concurrently at the House of Culture in Belize City.